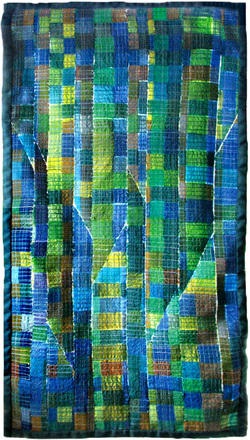 I am still experimenting with weaving strips of silk and stabilizing the resultant fabric with rows of machine stitching. Hot Shot and Cool It are experiments five and six. It might have been a larger piece in many colours, but the fabric seemed to separate into two piles – one of warm colours and one of cold colours. And so I made two small quilts. 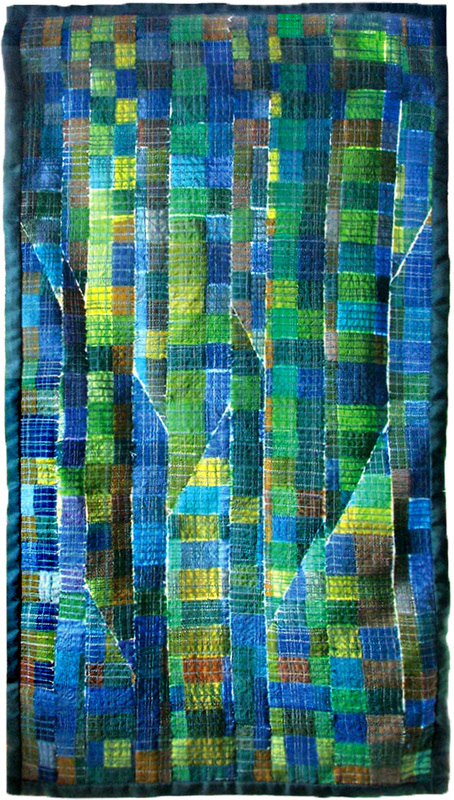 The title of this exhibition, “Fissures”, is providential as experiment number four let me to cutting, rearranging and stitching together again in a way that made the cuts an important area of the design. Silk, some hand-dyed. Machine stitched, cut and re-pieced.